the new album by Pablo Raster! 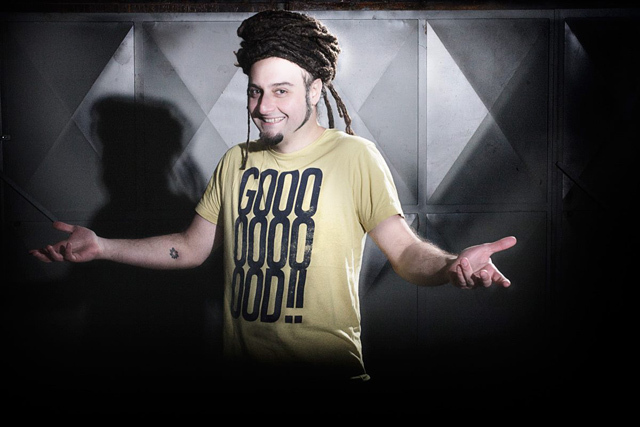 Welcome to the official website of Pablo RasteR, musician, singer, producer. He has produced dozens of albums and played more than 1000 concerts in Italy and Europe. He has collaborated with many international artists like Vlastur, Madaski, Dan-I, Fikir Amlak, Barry Issac, Violinbwoy, MrDill Lion Warriah, Marcello Coleman, Il Generale, Kg Man and Kasia Malenda. Art of Dub is his first solo album as producer, and in 2016 he published for Elastica Records his second solo album Forever Dub. In May 2016 he released Jump up with Barry Issac and Sandro Paradisi, printed in vinyl by Lion's Way Records. Danger and Jah Kingdom, published by the famous french label ODGprod, and The Almighty One, published by Svaha Sound Records, are his latest releases. Discover all his releases, his productions, his tour dates and live dubbing videos. © Pablo RasteR - All Rights Reserved.